Amir-Esmaeil Bozorgzadeh is a co-founder at Gameguise, a Dubai-based publisher of online games in the Middle East and a consultancy for global game developers and publishers. I don’t think anyone really understands the depth of digital upheaval Iran has experienced in the past few years. Social media and e-commerce consumption have both gone topsy-turvy in parallel to an overwhelming migration to smartphone devices. It was October 2012 when I first conducted an online study to share how Iranians consumed digital in its varied forms. I’ve rerun the same study this month through our channel on LINE, sampling 886 respondents between January 17-19. It’s noteworthy to mention that 62 percent of the participants accessed the survey while using a VPN. Nearly two-thirds (58 percent) of Iranians used Facebook back in 2012, even though it was blocked (and still is). It has dropped 23 points since, settling down to 35 percent, or roughly one-third. The relatively new kid on the block, Instagram, has replaced Facebook as the market leader (although the latter technically owns the former), reigning in as the social platform of choice with half of Iranians actively using it. Google+ has remained comparatively stable throughout the years, only dropping by 5 points to 31 percent. Twitter, blocked then as it is blocked now, dropped from 12 to 7 percent, while Linkedin has slipped by half down to 6 percent. Cloob, the local social media network that was only popular due to its strange immunity to censorship, has become practically obsolete, dropping from 14 to 3 percent. Consumption levels of social media have completely changed gears in the country. Twenty-nine percent used to spend at least 1 hour a day idling away through myriad postings. That figure has now skyrocketed to 62 percent, of which 22 percent spend more than three hours a day on social media. Posting photos at least once or twice a day has multiplied threefold, from 7 to 25 percent. Blog and forum activity has remained fairly constant, hovering around the double-digit mark. Only 12 percent use video calls on a daily basis, which is a 5 percent upward shift, but this reflects the stagnant state of sluggish and expensive bandwidth and data packages that continue to restrict the population from utilizing this service. Instant messaging has taken the country by storm, just as it has the rest of the world. Thirty-eight percent are using instant messengers like Telegram and LINE several times a day, compared to 12 percent back in 2012 when 3G had yet to be fully released across the telecom sector. Smartphone activity in general has spiked across the board for everything except checking emails (55 percent versus 40 percent in 2012), which has grown modestly through the years compared to other activities. 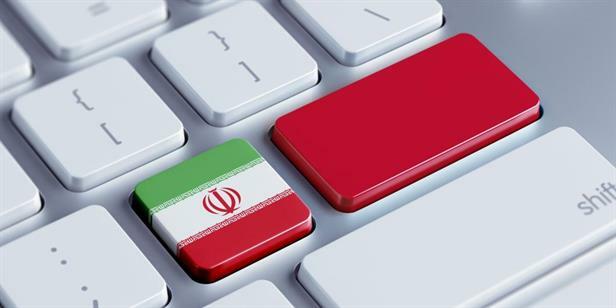 Iranians are using their mobile device daily for instant chat (60 percent), downloading apps (60 percent), reading the news (60 percent), watching video clips (59 percent), playing games (54 percent) and streaming music (45 percent). E-commerce has likewise exploded as local entrepreneurs copied and pasted proven global models that were well received. Iranians are literally shopping online by a factor of 3-5 times compared to 2012 levels. 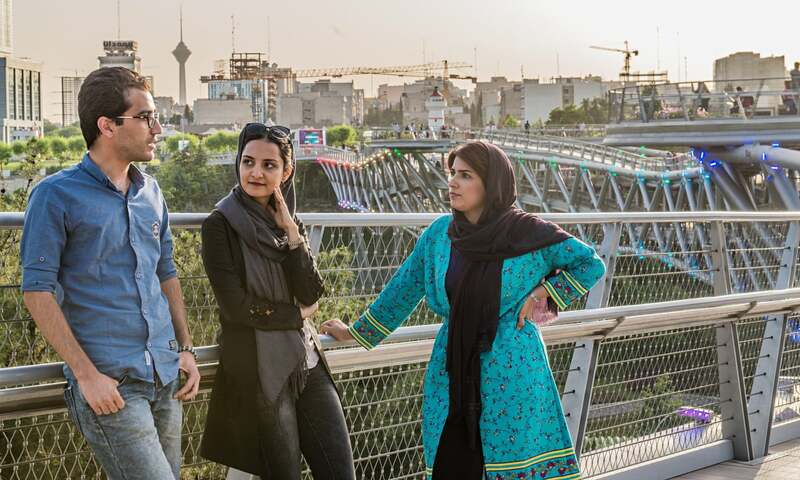 Every option under the sun has leaped onto unparalleled horizons that hallmark the fact that Iranians are true believers of the ethos of digital spending. Forty-eight percent are buying airline tickets online at least once a year, versus 17 percent in 2012. Hotel bookings have jumped from 9 to 42 percent. Thanks to e-commerce upstarts like Digikala, purchasing tangible products online like electronics (44 percent), clothing (49 percent) and even mundane items like spare car parts (41 percent) and insurance (40 percent) are no longer hindered by consumer misgivings about whether the digital channel is secure, reliable and can deliver the same quality experience as shopping offline. The demographics of the survey consisted of a fairly balanced mix. The gender split leans male (77 percent) with a good proportion of females (23 percent). Thirty-nine percent are 25 to 34 years old, followed by 18 to 24 (28 percent) and 35 to 44 (16 percent). Singles or those who have never married account for half (52 percent) the sample, while 39 percent are married. Thirty-one percent have diplomas, 31 percent have bachelor degrees and 9 percent have master degrees. One-third are employed, 16 percent are students and a startling 26 percent indicate that they are currently without work. Forty-three percent currently make a household income of less than 1 million toman (approximately US$333) per month, 24 percent of the remaining households make 1-2 million toman and 8 percent make 2-5 million toman per month.